The most feminine fashion jewelry today may very well be hair sticks. 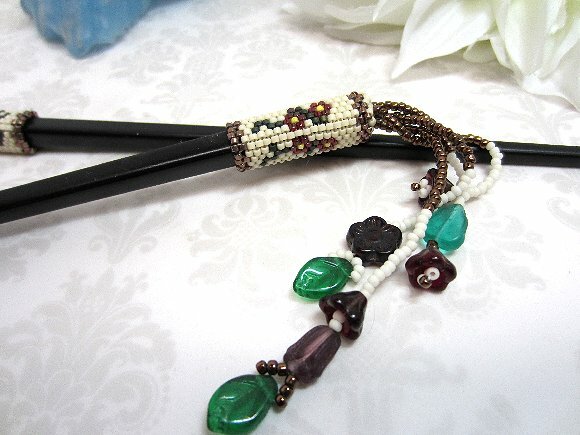 In this set, the flowering vine pattern in the beadwork was inspired by my love of art nouveau design. The hair sticks themselves measure about 7-1/2" long, and were molded of acrylic in France sometime in the 1970s. 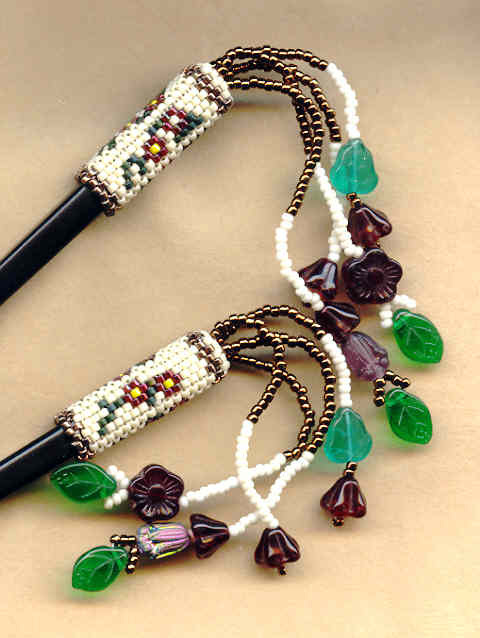 I've added the motif in tiny beads individually stitched into place, and a tassel of flower and leaf glass beads. The colors are mainly deep reds and medium greens, against a background of ivory and bronze. 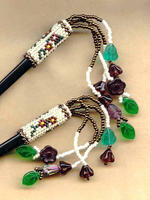 I've used ivory and bronze seed beads in the dangles to mimic the colors in the beadwork. 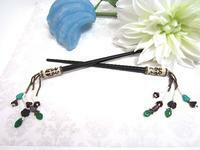 The longest of the fringe elements in each hair stick is a tad longer than 3-1/2". These intricate and feminine ornaments will make wonderful gifts for the girl graduates in your lives. 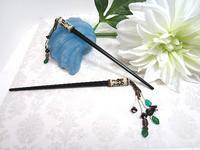 We love to make fashion jewelry of all kinds here at SPARKLE PLENTY.